I have so much admiration for those having to face incredible hardship to escape war and persecution, to give their families a future. And for those working so hard to help. This museum commemorates the 1.35 million people passing through this centre alone, as they fled from East Germany to West Germany. That situation is over, yet the same scenario plays out again and again, in Germany and around the world. Not a great picture, but I snapped it on my phone during a brief lull on a busy evening. So many people arriving at this reception centre, looking for a future. A future so different from all they’ve known and left behind. Grief, loss and hope entwined. Laughter and tears, uncertainty and determination. And oh so much resilience. One of the joys and stresses of an international move is all the de-cluttering that happens! Knowing you pay for every box does focus the mind and I gave/threw away so many things before moving back across the channel nearly 3 years ago. And yet I still had so.much.stuff. Out of all that, what would I have chosen had someone asked me that question? Immediately, I think of items that hold sentimental value, things that remind me of people and times that are precious to me. Practicality doesn’t come into it, probably because (thankfully) I have not had to experience life reduced to the bare minimum. That is the question photographer Brian Sokol asked a number of Sudanese and Syrian refugees. The result is a deeply moving series of portraits you can see here. A jerrycan for water, a sword to defend the family with, a diploma to be able to continue her education, a ring her mother had given her, a mobile phone that lets him keep in touch with family. From the very practical to the deeply personal and significant. Sometimes they seem so important. And some of them are, because of the memories they hold, because they are irreplaceable. And then they’re gone. Because your home gets broken into and stuff stolen (as happened to my parents a few weeks ago). Or because all your possessions are destroyed. This is what happened to both my mum’s and my dad’s families 70 years ago, in the bombing raids on Hamburg. While I am sad for the things that have been lost, these reminders have also made me more thankful for what I do have. And, more than anything, that even with the tangible reminders gone, the memories are still there to be treasured. THANK YOU to Marilyn at communicating.across.boundaries for the inspiration and challenge in her blog post “What would you take?“! He is there, yet not quite. Part of the town, yet apart. Floating. Luftmenschen, people of the air. Art depicting what words sometimes struggle to express. 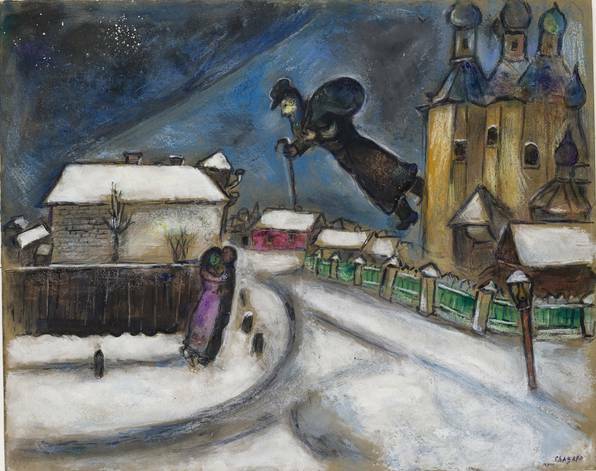 Marc Chagall describing his experience of growing up in a Jewish Schtetl in eastern Europe (now Belarus). The search for stability, the desire to belong. Yet knowing it could all be over in an instant. Always expecting to be chased away again, ready to run. That time and place is gone, the experience is not. Millions of people live like this. Some, like me, by choice. Deciding that the treasure to be gained by leaving home, by planting yourself in another place, another country, outweighs the cost of giving up those deep roots. At our best, we belong anywhere and everywhere. At our worst, we feel like Luftmenschen, always floating, never quite landing. Others never get to make that choice, life chooses for them. War, persecution, economic hardship drive them from their homes. They live the life of a refugee, always waiting to go back, grieving what they have lost. Some choosing to put down roots in the new place. And yet a part of them left behind in the old place. A way of life, a state of heart so beautifully expressed in this image. Recently I have been reflecting a lot on places and their importance in giving us a sense of identity, belonging and rootedness. In the midst of this, I happened to hear an interview with Neda Soltani, a refugee from Iran living in Germany. Her words haunt me, the words she uses to describe her sense of having lost her home, her roots, her place in life. What is it like to lose all that, without a way back? To be cut off from people and places you love? I have made many of these transitions and they have been difficult. But I have always made them voluntarily. I could have always gone back. Twirling around, detached from the tree you were a part of. I have friends who have lived this, and are living it. They have found a new home, have put down some roots. Yet a part of them is missing in this new place. 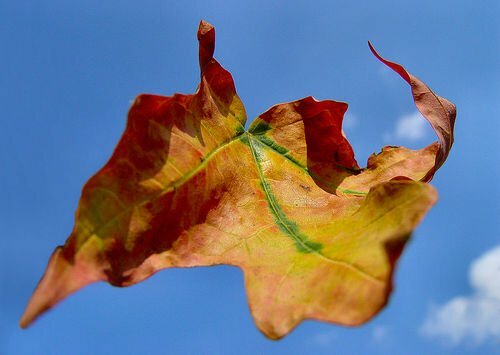 Like a leaf in the air. *”Neda Soltani’s life was turned upside down when the international media used her photo instead of that of a student shot dead during a demonstration in Iran.” You can hear her story on the 1 October 2012 edition of Outlook on BBC World. Almost every household item holds fond memories […]. Now in use, they begin to talk. 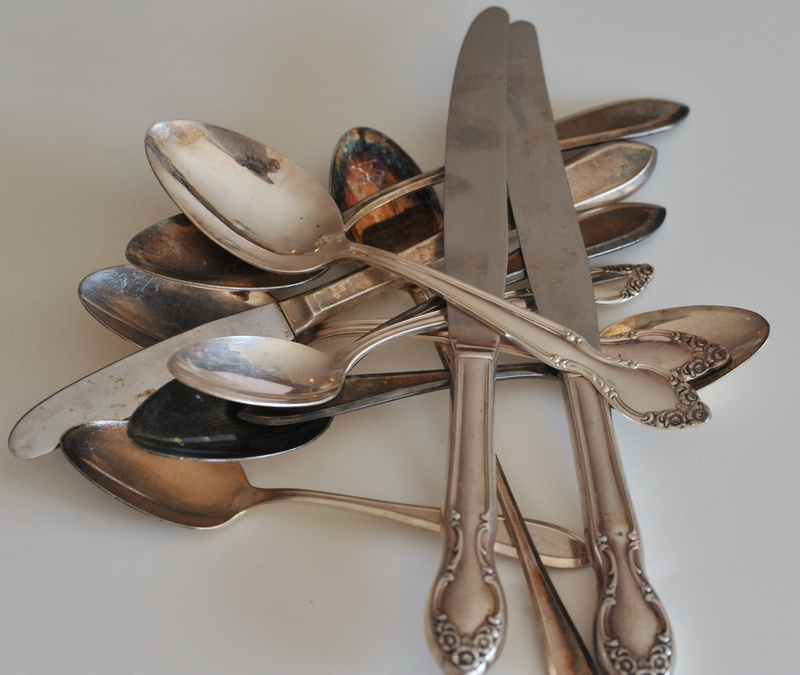 “I come from your mother – and I from your father.” The teaspoons say: “We come from Klara.” The silver spoons come from Wyk, the curtains from Tielen, some blankets from Breklum, etc. The old black pan from Tielen spoke so much that I almost had tears come into my eyes as I looked at it – so much did it remind me of the distant days of my youth. Every day, I am connected through my things with my beloved home, but connected joyfully because for many years, they will speak to me of the love of its people. This quote (sorry about the “not very good” translation done by yours truly) from “Post aus Äthiopien” caught my eye! It caught my eye because it rang so true. 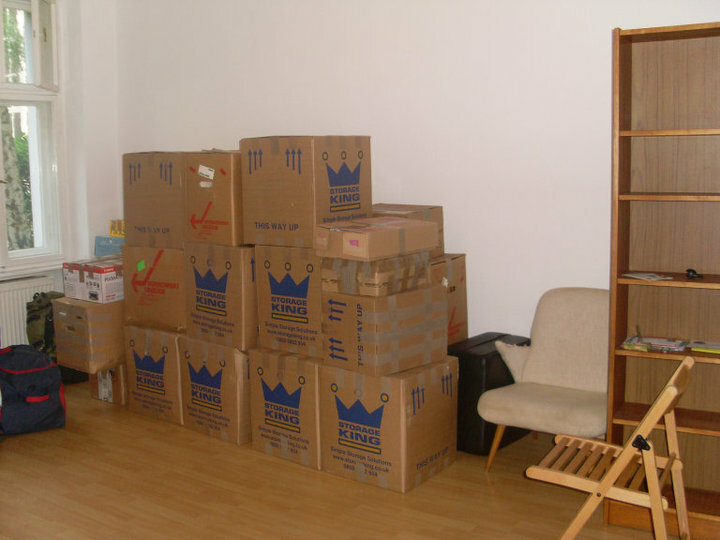 One of the decisions to make when moving internationally is what to take and what to leave. Did I say “one”? Actually, it’s myriads of decisions. And it’s a great opportunity for a good purge, a time to get rid of things you know you’ll never use again. Of course everyone has treasures they’ll never part with. Then there are all those possessions that fall somewhere in between. They are neither treasure nor junk. Is it worth spending money shipping them to the new place? Wouldn’t it be cheaper to replace them? There is no right or wrong answer to this. It’s a very personal decision. Call me sentimental, but I shipped a ton of stuff and I’m glad I did. As I embarked on a new life in a new place, I treasured (and still treasure) those voices from the past all around me. The cutlery that used to belong to my grandparents. The salad bowl that is slightly chipped but reminds of a very special trip to Hungary. The chest of drawers that’s made “I don’t know how many” moves with me – it used to be in my bedroom in the home I grew up in. Things that bring some cohesion to a life that can feel somewhat disjointed at times. Things that speak of places and of the special people associated with them. It’s all just “stuff” and yet so much more! I am thankful to have those voices all around me. So many people don’t. People who have to leave their homes with nothing because of war, persecution, or to be able to make a living.